From the author of The Hydroponic Hot House comes the boldest exploration of psychedelic plants since Terence McKenna's Food of the God. For the first time, theory and practice are linked in one consciousness-expanding book! DeKorne is a "psychonaut," exploring the imaginal realms" through personal experimentation and scholarly research. He guides the reader through the history and lore of psychotropic plants, with advice on how to handle the eerie "Entities" one encounters in "hyperspace." 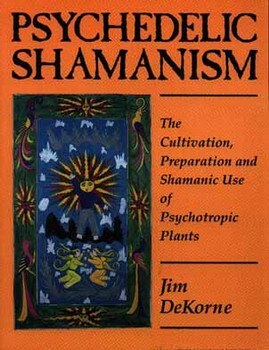 Psychedelic Shamanism is a lucid, captivating introduction to the shamanic hypothesis with all the technical information needed to explore "inner space"
"An indispensable guide to the theory, practice, cosmology, theology, and ethnobotany of plant teachers." "At last, a book about drugs and the paranormal that makes sense. I recommend it to everyone."